is the owner of Discerning Eye estate appraisal & disposition planning business. Appraisals: $10 per item, 3 items for $25. Morrison House Museum’s Parmenter Barn, 140 Pillsbury Rd, Londonderry. Bring your antiques, collectibles and family treasures to our first annual event! Appraiser, antiques dealer and auctioneer Daniel F. Reidy will be featured. Event will be held at the Londonderry Historical Society Morrison House Museum on May 20th from 1:00pm to 3:00 pm. Come see what your items may be worth! 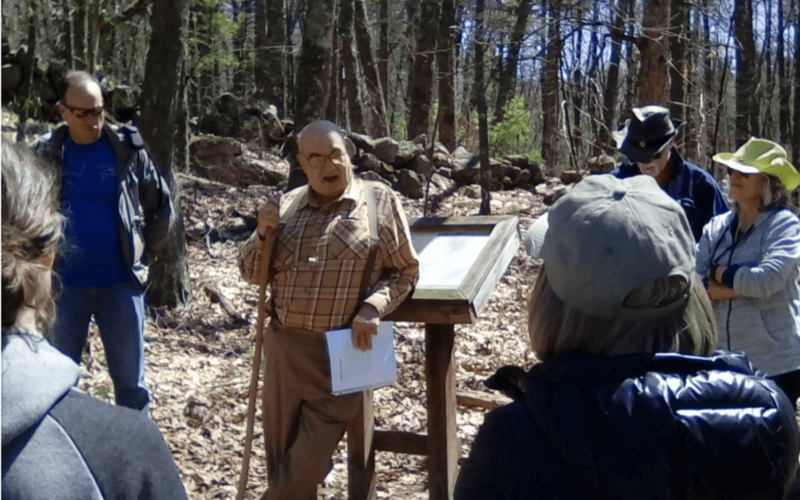 Thank you to Dr. David J. Ellis who led our first tour to the farm of Cyril Lee and the home site of Lewis Lee, or what remains of those sites. We hope that the 40 plus attendees will be inspired from learning about the rich history of the Musquash area. 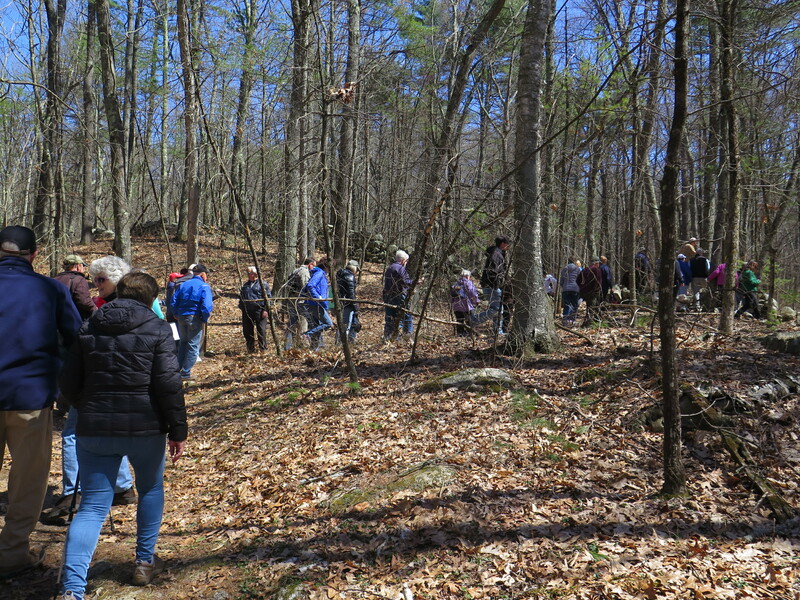 We look forward to having another Walk & Learn in the Musquash again soon! 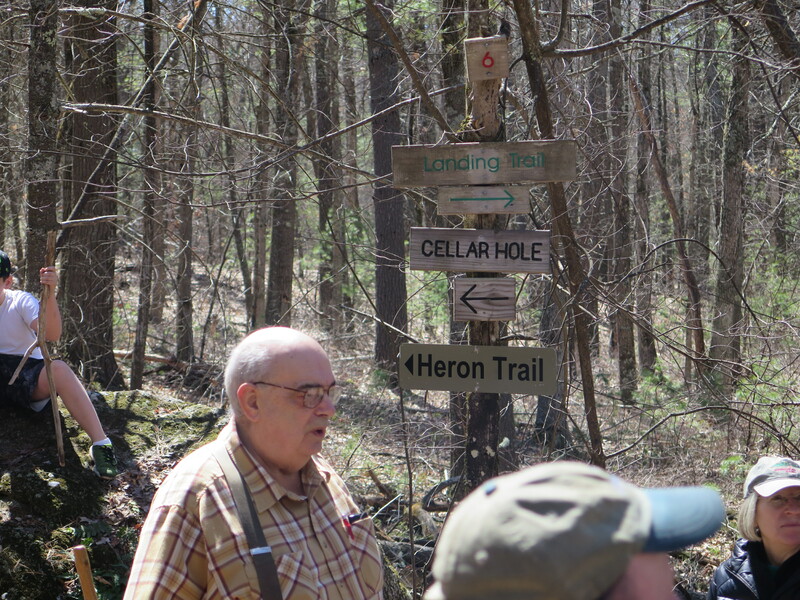 Here are some photos from our first Walk & Learn. 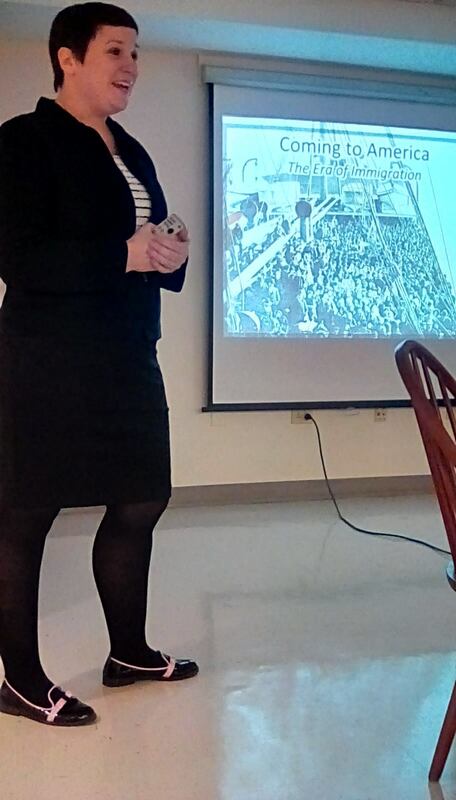 Thank you to Mary Morris of the New Hampshire Historical Society for speaking about immigration to New Hampshire from the mid 1800’s thru the early 1900’s. Thank you also to all those who attended our meeting for this special event. 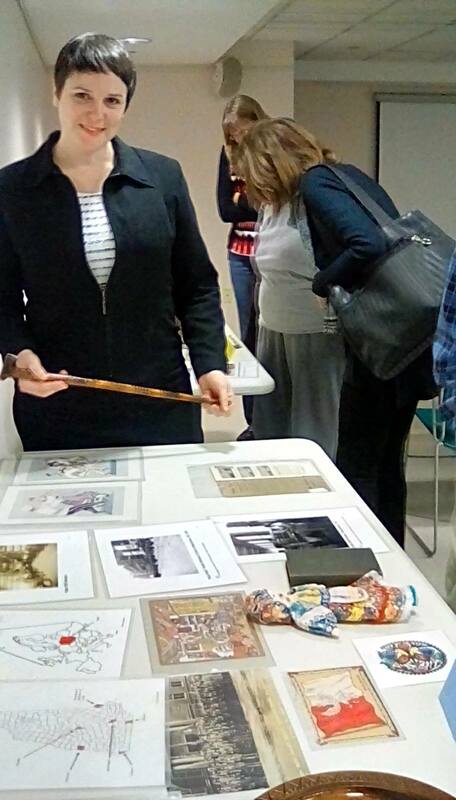 Many artifacts were on display enhancing the story of the immigration process. Londonderry Historical Society has been selected AGAIN to be a part of the Hannaford Helps Reusable Bag Program! We really appreciate all the support we received during our last round. Thank you! 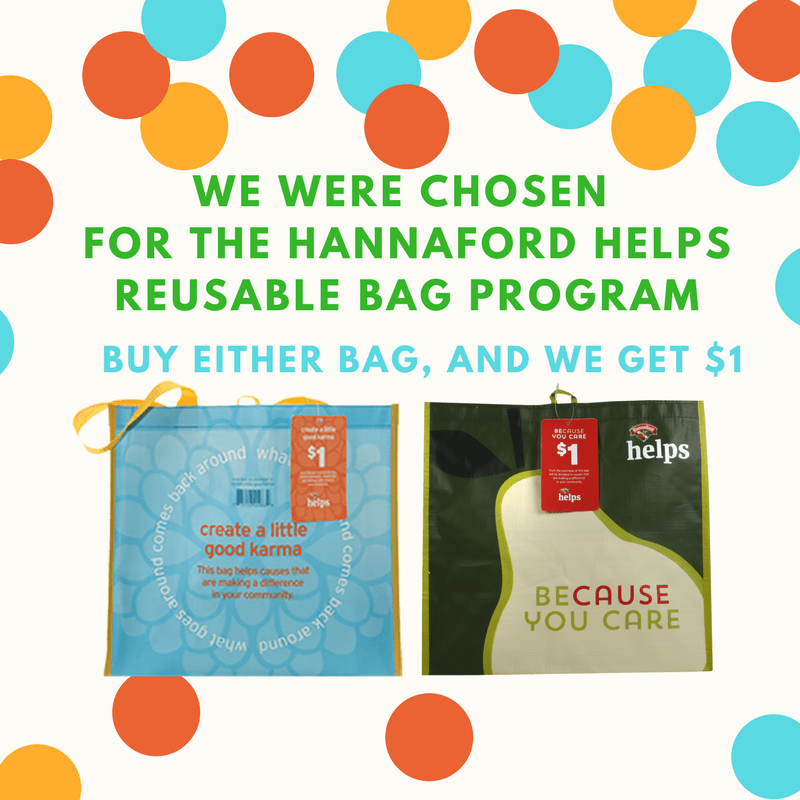 We are so happy to know we can count on you to go out and buy a few more of the Hannaford Community Bags during the month of April, at the Hannaford store located at 6 Hampton Drive, Londonderry, NH! Don’t forget, the bag is only $2.50 and we get $1 for every bag purchased!